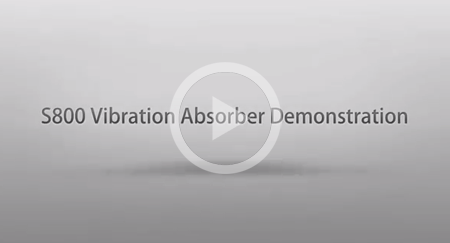 All old type S800 users can enjoy certain discounts when buying the vibration absorber kit, if you have any questions, please feel free to contact your dealer! 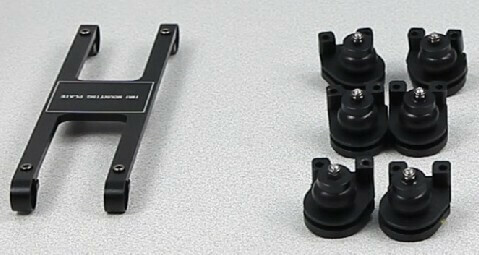 The kit contains six dampers and an IMU mounting plate. 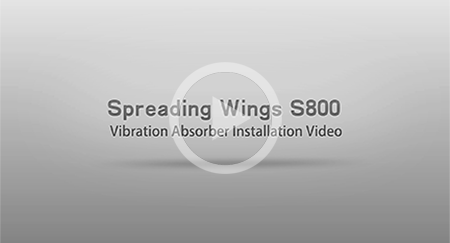 You can install these easily onto your S800 without making further changes, and flight performance can be greatly improved. All you have to do is install the six dampers between the S800 frame arms and the landing gear. The air-core damping ball within the dampers will absorb the high frequency vibration. It effectively reduces the high frequency vibration influence to the IMU and gimbal, and makes the S800 flight more stable. Before we mount the vibration absorber on the S800, we stick the GoPro camera directly on the landing gear, and the footage is full of water ripples; After we mount the vibration absorber on the S800, you can see clearly the working state of the vibration absorber, and there are no water ripples in the footage. In addition, the vibration absorber will greatly reduce the vibration of the IMU and the gimbal.